close your eyes and pretend. Now if you kissed that frog, perhaps he would turn into a Prince! Have a great weekend. howdy Mr. Frog Do you still have hummers?? Creative shot! Love it! And yes 'surround yourself with nature's beauty! It is a delight! How cool is that. Nice one Misty. 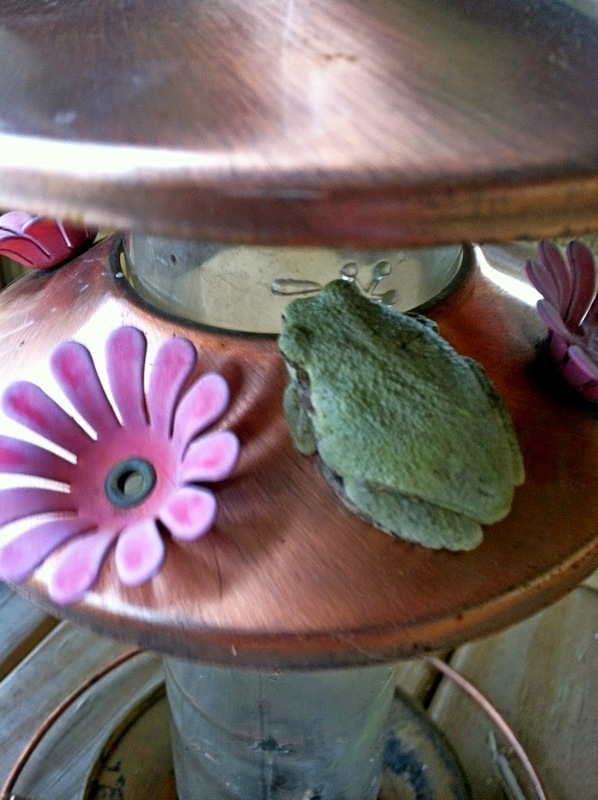 Cute frog, it seems all the tree frogs in my yard look different. It's funny where they choose to hide out. Cute little visitor. I like your quote too. Hello Misty, love the cute frog and the quote.. Thank you for linking up, enjoy your weekend! I think frogs are cute, how lucky you got to see this little fellow. I heard them in the trees when I visited Missouri, nice to actually see one. Hehehe...now that's a funny shot.